INGREDIENTS: Ribe rice, summer truffle ( Tuber aestivum Vitt. ) 1.1% ( corresponding to the 4.5% of fresh truffle ), flavor. May contain traces of gluten, sesame and soy. USEFULL INFORMATIONS: Pour two glasses of cold water for each glass of Truffle risotto (230gr of risotto = 600ml of water). Add salt and bring to a boil. Since the water boils cook the rice for about 12 minutes, stirring occasionally. Before the liquid has completely absorbed, turn off the burner and add a little oil or a knob of butter. Reggiano Parmesan Cheese to taste. For an even tastier Truffle risotto, pour the content of the jar into a pan and slowly bring the rice to cooking, adding vegetable stock from time to time. Then remove the pan from the heat and stir in adding a knob of cold butter and Reggiano Parmesan Cheese to taste. It enhances the aroma and the scent of the truffle with the White Truffle Oil or the White Truffle Butter of Bernardini Tartufi. 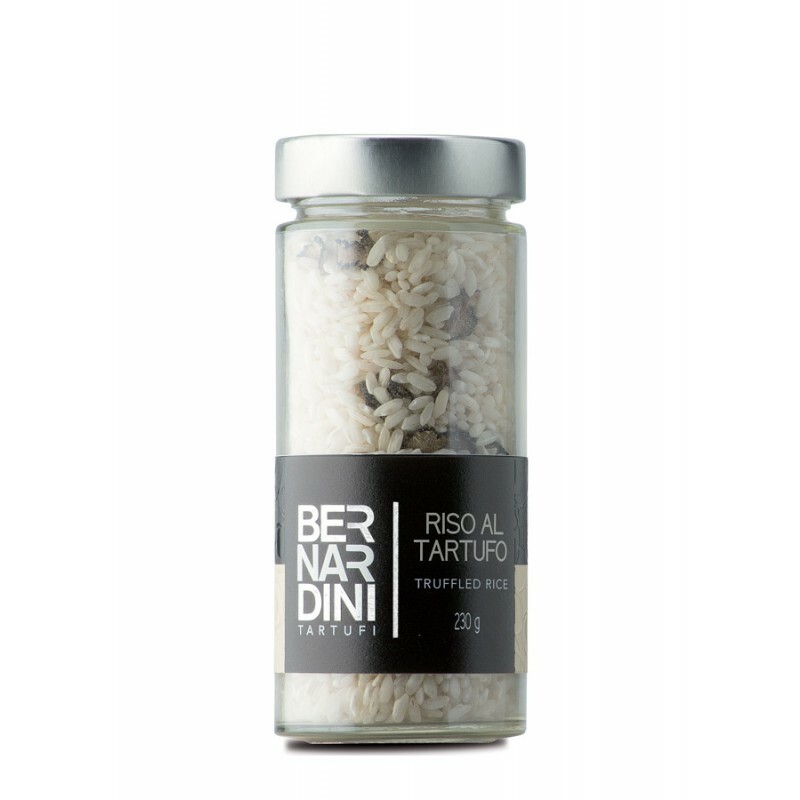 TASTE: The rice is enriched by the particurar truffle flavour notes.